Max Rodriguez, of Madera, was appointed to the Partnership Board in June 2013. Rodriguez has served on the Madera County Board of Supervisors since 2005. He was an agent at Farmer’s Insurance from 1985 to 2008 and a resaw operator at American Forest Products from 1959 to 1984. Rodriguez is a member of the National Association of Counties Human Services and Education Steering Committee and the California State Association of Counties Health and Welfare Policy Committee. He is a commissioner on the Madera County Transportation Commission and the Madera County Local Agency Formation Commission, chairman of the Madera County Children and Families Commission and president of the San Joaquin Valley Regional Association of California Counties. 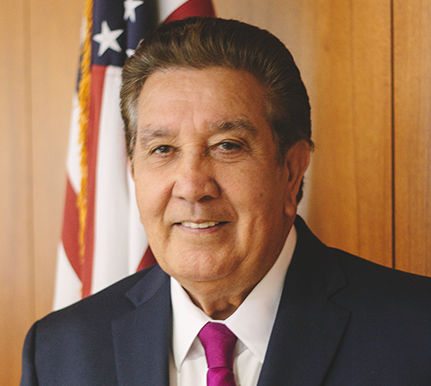 Rodriguez is a board member of the Madera and Chowchilla Redevelopment Agency Oversight committees and a member of the Madera County High Speed Rail Task Force.